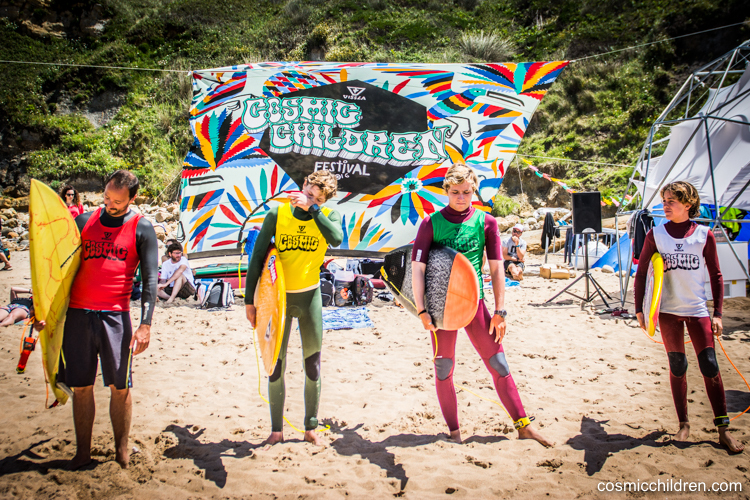 The 12ve edition of the Cosmic Children Festival is proud to integrate and host for the second year in a row the “Shred Your Shape” contest presented by Vissla. Next June 17th and 18th will take place this new category specially created to highlight the work of craftsmen and shapers, the heart of the surf industry. Shapers will show how they can perform with their own creatures. The Cosmic kids will host in Liencres a real gathering of the tribe, with a good selection of international shapers that will come and join us to share their knowledge to surf their boards, show the new trends and exchange ideas about shaping with their peers. Up to 32 international shapers invited by Vissla, who live from the manufacturing of custom boards. 2017’s edition will honor past Creators and Innovators, and pro-shapers are challenged to replicate and surf either a Mark Richards inspired twin fin or a Hot Buttered Terry Fitzgerald inspired Single Fin. This category is just open to the first 16 surfers (per order of registration) who have shaped their own retro board (single fin or twinnie). This year make sure you show us your best performance with retro-style boards and show your skills in and out of the water. You might be honered with a great trophey and you will represent the “do it your self” philosophy.